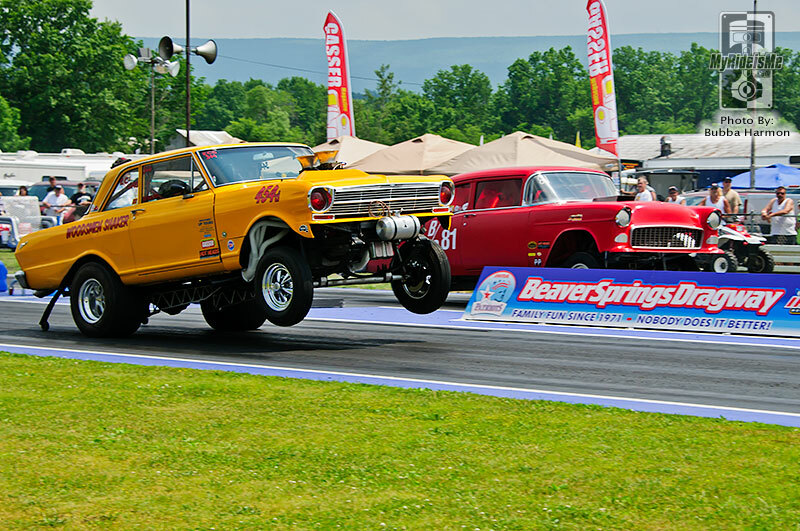 Located about an hour’s drive north of Harrisburg, PA, Beaver Springs Dragway is a dragstrip with lots of heart. The crew running the show goes out of their way to make you feel like part of the family. Their advertising slogan is “Nobody does it better!” and I would have to say that’s definitely not false advertising! 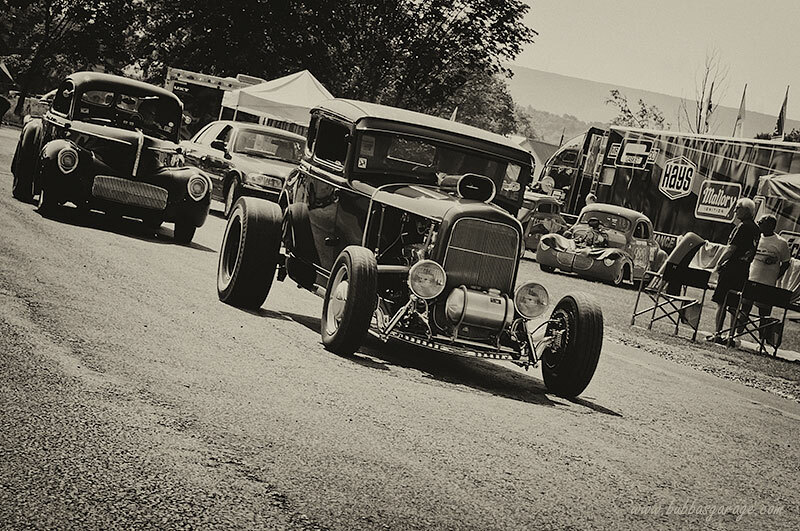 The “Beav” is the perfect location for Gasser Magazine’s Gasser Reunion that was held June 10-12. We hit the road early to make the 3 hour drive from our home base in WV and it rained the entire trip! When we arrived, the spectators’ parking field had an inch of standing water. Do you ever get the feeling that maybe you are wasting your time making a long trip for nothing? Well, luckily that feeling for us was wrong and the sun was shining by 8:30am. Everyone was able to enjoy a full day of racing. Randy Campbell’s 1950 “Full Metal Jacket” Studebaker sits in the pits drying after the early morning rain. 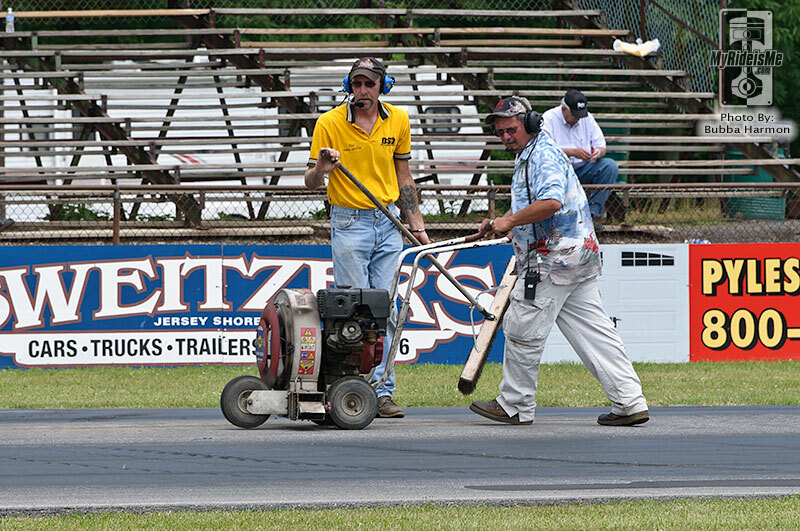 The track crew did an excellent job getting the dragstrip prepared for racing after the rain stopped. There was only a short, 1 hour delay before Saturday’s time trials. It was like you stepped back in time as you watched hot rods and gassers driving in the pits. Gassers were reaching for the sky all weekend. Dan Bergeron (yellow) actually took second place in the wheelie contest for the weekend. 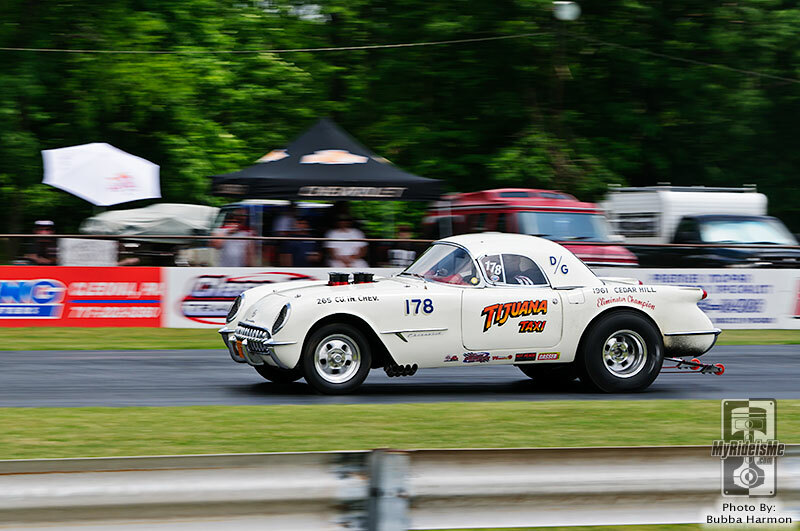 Lew Stitley put on a great show all weekend in his “Tijuana Taxi” Corvette and ended up with the win in Nostalgia Gas. 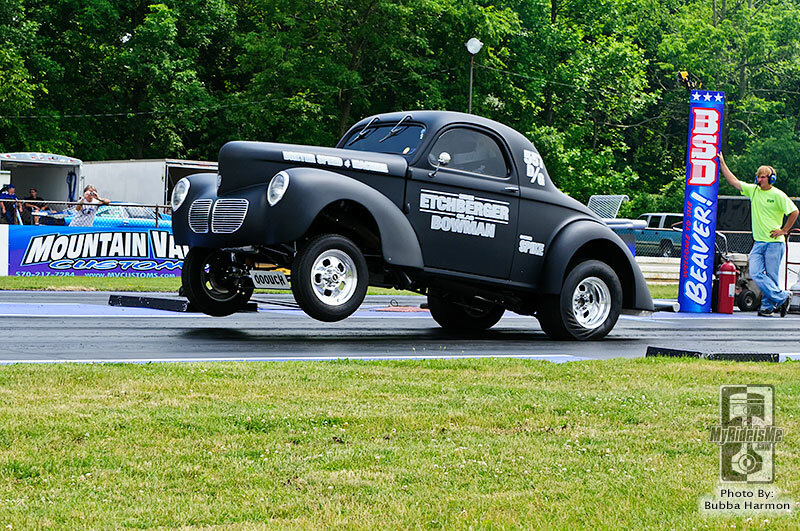 Mike Etchberger would later go on to take home the trophy for the Wheel Stand Contest in his street legal Willys. Great people + a great track + a great event = a can’t lose great time! Hopefully you’ll have a chance to check out some of the other nostalgia racing events in the future at the Beaver Springs Dragway. 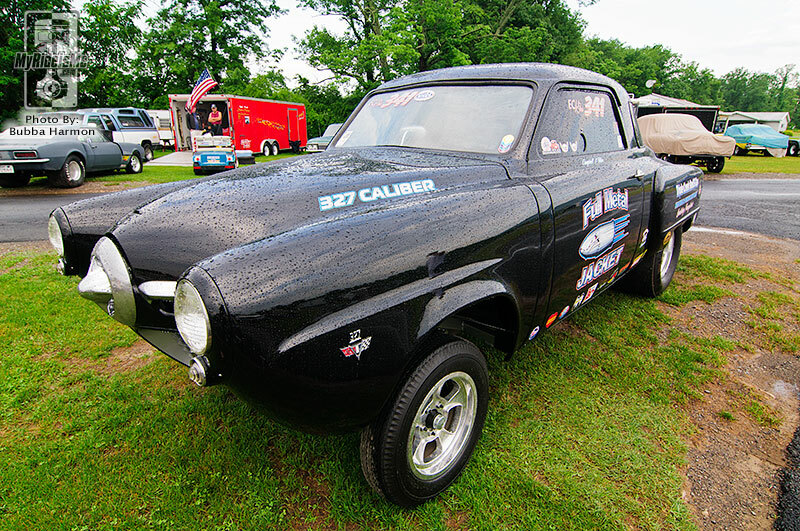 Until then, check out a few more photos over in the Hot Rod & Racing picture gallery. 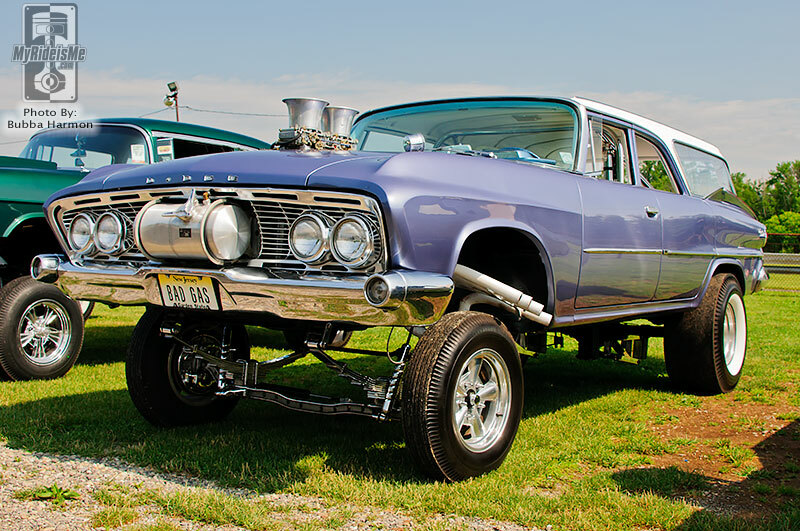 Hey Pike, that first pic of the wagon gasser should give you some inspiration for that AMC! I love gassers! I liked the “Wheels-UP” pic! @Kustoms and Choppers – Thanks, I had fun taking all those photos. O man that first picture of that wagon. 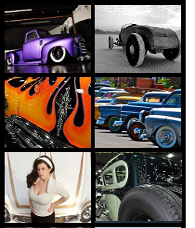 Great pictures—–Great cars….Thanks for featuring them.